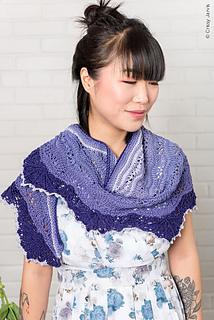 All Marnie MacLean shawl patterns originally offered through Twist Collective are available as part of the Twist Collective Shawls ebook. Just $3 per pattern. 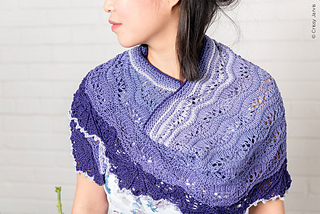 Or choose any 4 patterns from the collection for $16 — just $4 per pattern. 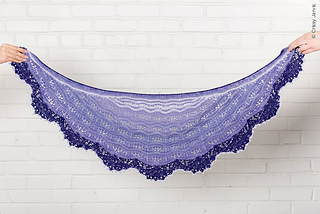 Discount is automatic when a multiple of 4 eligible patterns are in your cart. 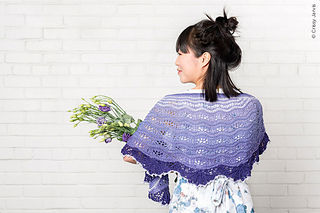 This shawl is worked from the border up and shaped with short rows to give it a crescent shape. Stitch pattern offered in chart form, only.